Bookmark printing is a cool way to promote your brand. 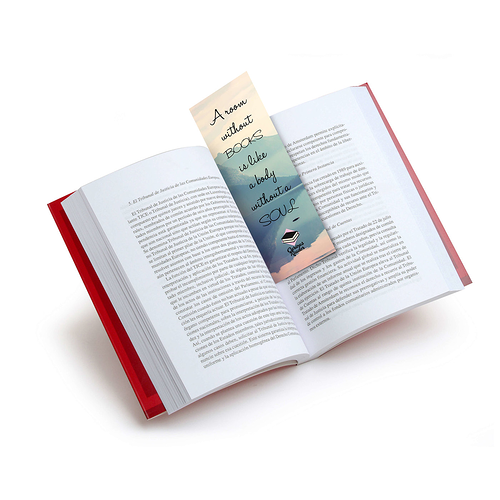 Bookmarks have more uses than meet the eye, and they can last a long time. You can use them as a mini flyer, coupon, event ticket, or as a traditional bookmark that happily keeps a reader’s spot. We offer a variety of customizable features to make your promotional bookmarks real keepers. No matter what options you choose, you can count on 48HourPrint.com for high-quality bookmark printing. We print and ship fast. Try our bookmark templates with your own design application for an easy printing experience. Print bookmarks to leave mark today.